Not your ordinary golf school, but a school that trains the parent to be a friend and a coach to the child. 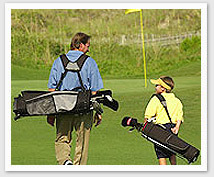 You want to take your child to the next level in this wonderful game of golf, but you’re not sure how to go about it. You know you don’t have the money to hire a private instructor or have the knowledge to do it yourself. Now there is a program that will teach you, the parent, how to be your child’s coach and become their best friend. Do you know that over 50 of the top 150 golfers in the world where taught by their father or mother? Most of our goals as parents are the same, to try to get our children a college scholarship and education. If they play competitive after that it is just icing on the cake. 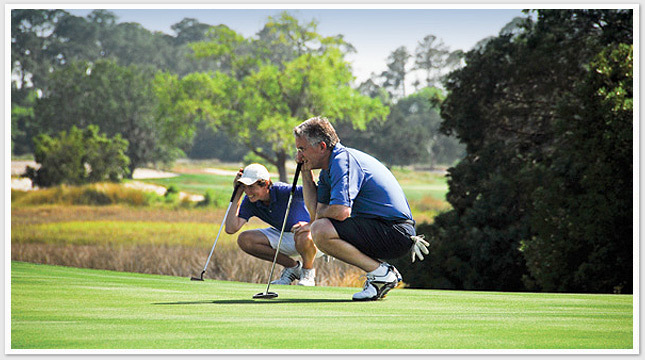 But not understanding the basics of putting, pitching, chipping, sand, full swing, video analysis, proper practice habits, usage of the latest training aids, and course management, you are putting your child at a huge disadvantage in junior golf tournaments. You will learn to teach all aspects of the game, from varied methodologies to over 200 faults, fixes, and drills. Spending Quality Time with Your Child. 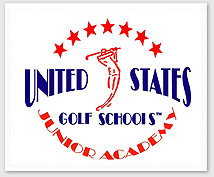 Whether you’re an absolute beginner, a casual weekend player, or a scratch golfer, there’s a program for you at the United States Golf Schools Parent / Child Golf School. You’ll learn to teach every facet of the game, including putting, chipping, pitching, bunker techniques, specialty shots, the full swing, and setting up practice and drill stations. Course management and mental aspects of the game are also stressed. Say goodbye to the days when your child is faced with a particular shot and you have no idea how to explain or correct it. Instruction communicated in a simple, understandable, and concerned manner gets results from your child. You will acquire a teaching foundation built on lasting fundamentals, your child a golf swing with just a few basic thoughts, and dramatic improvement in your teaching and your child’s practice habits. You will even improve your own game and your ability to be a good coach. Both you and your child will learn games & drills to add to the enjoyment of your time on the range! All students receive discounted pricing on over 100’s of the latest golf improvement training aids. Plus a free T.O.U.R training and a practice packages from EYE LINE GOLF. Provide Supportive Peak Performance Tools and Audio Programs and More…. “I truly believe that the time to positively impact behavior and the mental game is early on in the development before significant issues arise and behaviors become hard to change. I believe your integrative approach with the swing coach is instrumental in developing success. The changes we have seen in Michael have been dramatic and his ability to remain focused and deal with adversity without becoming frustrated and angry has been markedly evident. In addition, the affects are highly visible on the course but equally and probably more important in other situations including his personal life at school and at home. I can’t thank you enough for what you have and continue to do with him. By the way, I have attached visual proof of his success as the “New 16 and under AAU National Champion”! 2014 "Golf School of the Year"